Lovely heart shaped mango wood chopping board / serving platter. Perfect for the country cottage style kitchen. 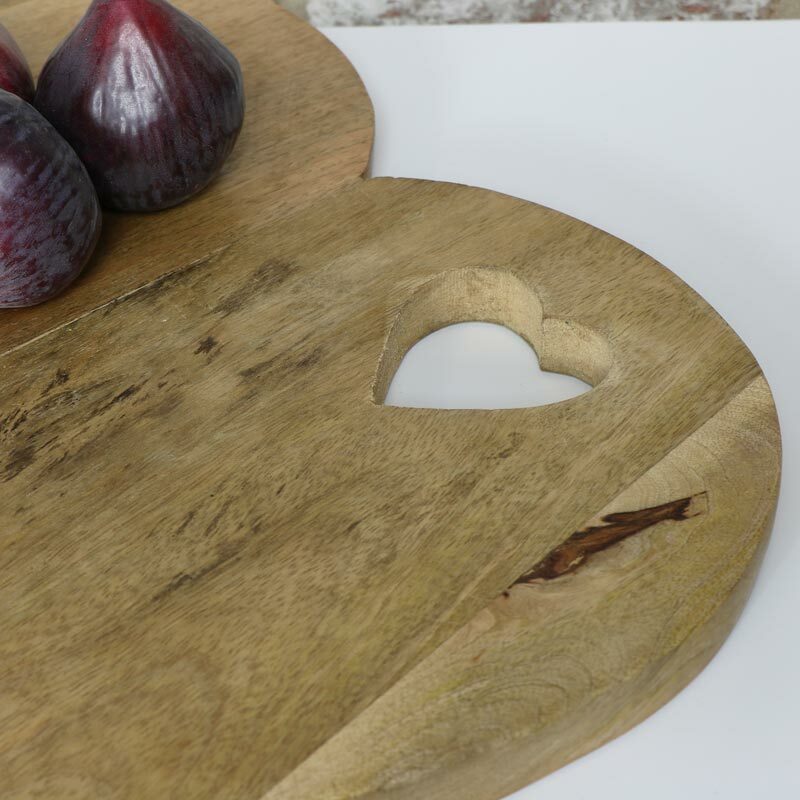 Add some heart warming, shabby chic love to your kitchen with this chopping board. Food safe and easy wipe clean, ideal for food preparation. Wonderful housewarming gift. Lovely heart shaped mango wood chopping board / serving platter. Perfect for the country cottage style kitchen. 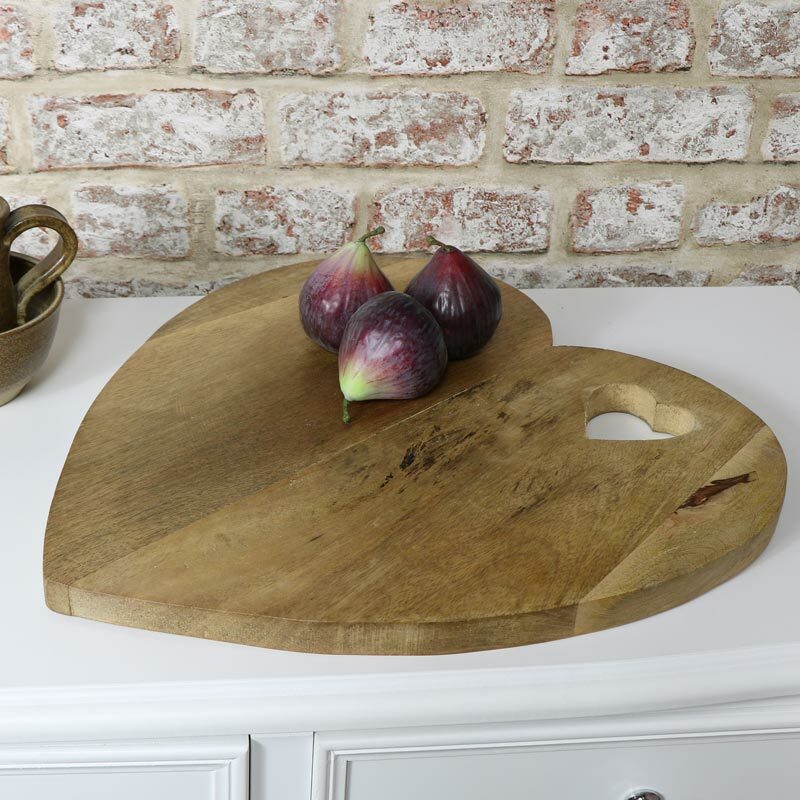 Add some heart warming, shabby chic love to your kitchen with this chopping board. Food safe and easy wipe clean, ideal for food preparation. Made from natural mango wood in a heart shape with small cutout heart detail.